Hardwood vs softwood. Difference between wood. There are many different species of hardwoods. Examples of hardwood trees are ash, balsa, beech, birch, cherry, elm, mahogany, maple, oak, walnut, etc…These trees grow in different places, such as North and South America, Europe and Asia. They are heavy, dense, porous, and have complex wood structure. Some of the hardwoods are so heavy that they can sink in the water. Those kinds of woods are called “ironwoods”. 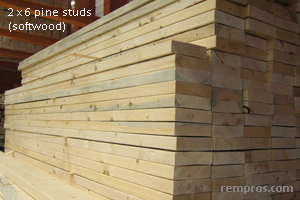 Examples of softwoods are yew, fir, pine, spruce, etc… In contrast, they don’t have porous and are less dense. Comparison of different types of wood can be done by using Janka scale. Janka for wood species measures hardness of both softwoods and hardwoods. So, it is a good idea for homeowners to see and distinguish what type of wood will be suitable for different areas of their homes before actually buying those woods. Main difference between hardwood and softwood is presence or absence of porous. Only hardwoods have different shapes and sizes porous and softwoods have none. Most species of hardwood trees are more durable than softwoods and more resistant to damages, such as scratches and dents. However, a few softwood species are harder than some hardwood ones. For example, such softwood as yew is harder than balsa (kind of hardwoods). Hardwoods are more durable because of their density. That’s why they heavily used in construction, making furniture, and musical instruments. Even though that these woods are hard and therefore it makes somewhat more difficult to work with them compare to softwoods, it makes for hardwood materials some privileges. Hardwoods are used in furniture making because they are firm and strong, but with certain treatment are flexible. Despite of the hardness of hardwood trees, with steam they can be even bent, for instance, to produce nice shapes of chair or table legs. Softwood is a perfect choice for indoor applications, but for use in areas with high moisture level such basements or outdoor it has to be treated. Both hardwoods and softwoods are heavily used in flooring. Decision whether to buy hardwood or softwood can depend on many factors, such as your taste, décor, and price. 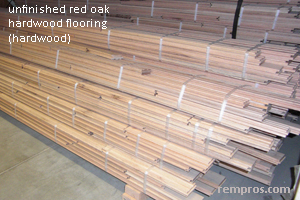 Normally cost of hardwood flooring materials are higher than for softwood ones. Maintenance also plays a big role in the decision making. Since softwood is not as much durable as hardwood, it requires a little bit more maintenance to keep it the way the floor was just installed. However, with proper finishes it is not a big issue or difference now. More important is the way the floor will be installed. Right installation will not make much of a difference whether it is a hardwood floor or softwood ones for many people. With applying stain on wood even the cheapest options of softwood might look the same as expensive ones of hardwood. However, bad quality work during installation will spoil even the most expensive type of hardwood. Therefore, homeowners should think twice before trying to install hardwood floors themselves in order to weigh whether they are capable to undertake those potential risks. When choosing contractors, who will do the work, they also should be careful because they might also lose their warranty on wood if installation will not be done properly.